Fundamentalism was born as the wrongheaded reaction to the crisis of modernity. Ironically, fundamentalism is an approach to faith that accepts modernity’s now discredited claim that empiricism is the sole source of knowledge. Feeling intimidated by the Scientific Revolution, fundamentalism takes a “scientific” approach to the Bible — which is perhaps the worst of all ways to approach Scripture. The Bible is not interested in giving (or even competing with) scientific explanations. What Scripture gives us is inspired glimpses of the Divine Mystery. The point is never to “prove” the Bible, but to enter into the mystery through the portal of Scripture. The Bible has no interest in “proving” itself — it has no need to do this and makes no attempt to do so. What the Bible is, is the Spirit-inspired sign that points us to the true Word of God — the Word made flesh. And the Word made flesh is the greatest of all sacred mysteries. Any approach to the Incarnation that does not treat it as a sacred mystery is an act of desecration. If we insist on explaining the mysteries of faith — the bane of fundamentalism — mysteries like the Trinity, the Incarnation, the Resurrection, the Ascension, the Parousia, the new birth, baptism, the Eucharist — we inevitably reduce rich mysteries to cheap certitudes. In the search for certitude and a penchant for Bible-Answer-Man explanation, the intrinsically artistic nature of the Christian mystery is turned into gift shop simulacra. Fundamentalism is to Christianity what paint-by-numbers is to art. In discovering a richer Christianity I have been able to identify an ache that had always been in my soul — it was the ache for mystery. Mystery is at the heart of reality. Ask any quantum physicist! Newtonian physics sought to explain everything, but post Einstein physics has learned to bow in chastened reverence before the altar of mystery. And Christians should have at least as much reverence for mystery as quantum physicists! Christianity is a sacred mystery. The Apostle Paul loves to speak of the mysterion — he uses that rich word twenty-one times in his letters. Christianity is a confession, not an explanation. We will attempt to explain what we legitimately can, but we will always confess more than we can explain. I fully confess God is Father, Son, and Holy Spirit, even though I cannot fully explain the Trinity. I fully confess the resurrection of Jesus Christ, even though I cannot fully explain what it means that the Son of God has inaugurated a world beyond the realm of death. Room for mystery is necessary for orthodox theology. Mystery is good for theology. And mystery is good for the soul. Freed from the shackles of scientific positivism, the postmodern soul not only accepts the presence of mystery, it craves it. In the nineteenth century what passed for mystery was a Sherlock Holmes adventure — which is to say, there was no mystery at all, just a problem to be solved. Elementary, my dear Watson. When I was a kid there were those lousy Scooby-Doo Mystery cartoons. Again, no mystery…just a guy in a mask…every time. But that is not reality, scientific or otherwise. Ask Nils Bohr about God playing dice or Werner Heisenberg about the impossibility of certainty or Erwin Schrödinger about his cat, and these imminent physicists will tell you the universe is full of mystery. During my lifetime mystery has made a comeback in pop culture. 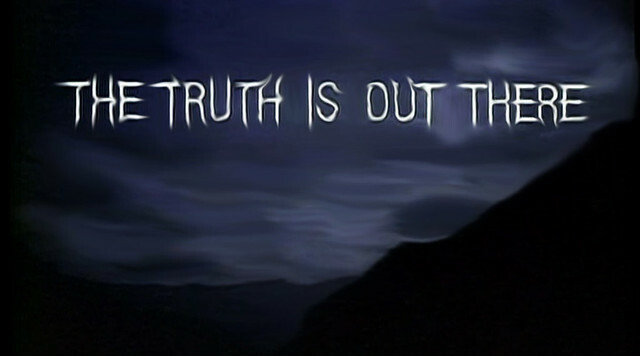 We’ve gone from Sherlock Holmes and Scooby-Doo to The X-files and Lost…and discovered that mystery is good for the soul. Mystery is not a problem to be solved, mystery is an aspect of being to be honored. If we want to eliminate all mystery, we will do bad science, as nearly all quantum physicists will now tell you. And if we want to eliminate all mystery we will do bad theology and produce an inferior Christianity. Jesus says we can’t explain how people are born of the Spirit. The irony is, we’ve done just opposite — we’ve completely explained how people are born again! We know the five points, the four laws, and the three steps. There is no mystery. Here, accept this atonement theory, pray this manufactured prayer, and — presto! — you’re born again. No mystery to it. Just a cheap, formulaic, mass-produced, one-size-fits-all conversion. No wonder ninety percent of these “conversions” turn out to be defective. The Spirit of God is an artisan, not an industrialist. Meditation on the sacred mysteries revealed and confessed in the Christian faith is the alternative for the know-it-all fundamentalism that is about as satisfying to the soul as a Scooby-Doo cartoon. The Spirit blows where it wants, and you can’t tell where it comes from or where it is going. All hail the Sacred Mystery!